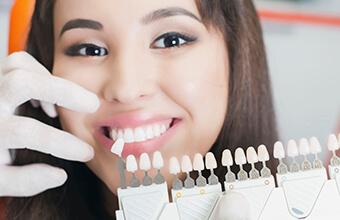 Dr. Cher Rich and our team understand that the appearance of your teeth is just as important as their health in many ways. A strong, beautiful smile can help people pursue their goals with enthusiasm and confidence, while a compromised one can have the exact opposite effect. After we have made your teeth as healthy as they can be, we can go to work giving you the smile of your dreams. Our cosmetic services can deliver everything from a subtle to a dramatic result, and the only true limitation is your imagination. What would you like to change about your smile? Whatever it might be, we’re certain we can help, so contact our office today. These extremely thin porcelain shells fit directly onto the front of your teeth, and they can enhance your appearance in every single way. With just a few easy visits, Dr. Rich can completely makeover your smile. If you’re looking for the kind of teeth you typically see in movies and TV, porcelain veneers are your answer! 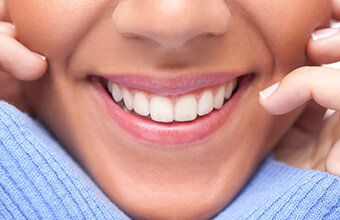 When one of your front teeth has become damaged or decayed, we will always take special care to restore both its functionality and appearance. To ensure this, we will only use metal free restorations. 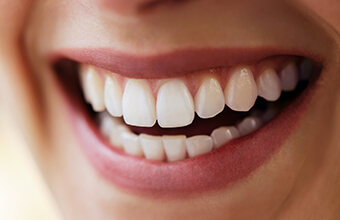 These crowns, typically made of porcelain or ceramic, can completely mimic the shape, size, color, and strength of a natural tooth so that they can give you your complete smile back. They’re the best kind of dental work: the kind no one will even notice! Small chips and cracks can have a surprisingly big impact on your smile. To fix these little imperfections, we use a quick and easy treatment called direct bonding. Dr. Rich will apply a putty-like composite resin to your tooth and literally sculpt it to perfection. Then, she’ll quickly harden it using a special curing light. Even though the treatment is fast, with the right maintenance, it can easily last up to 10 years. If you’re like most people, the color of a person’s smile is probably one of the first things you notice about them. So, when you notice that your OWN teeth are looking dull, yellow, and discolored, you surely want to get them fixed FAST. For the person on the go with just an hour to spare, we can offer Zoom! Whitening. It is a complete in-office whitening treatment, and it can make your smile up to 8 shades whiter in just one visit. You can literally see hundreds of whitening products on store shelves today, but NONE of them are made especially for you. Our take-home whitening kits, on the other hand, are made specifically to fit your teeth and guarantee dramatic results. 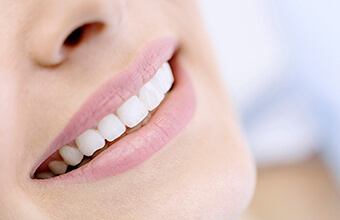 We’ll provide you with customized mouth trays and a powerful bleaching gel so you can get the smile of your dreams right in the comfort of your own home. Most people see complete results in just two weeks or less!